The Smuttynose Brewery in Hampton, N.H.
HAMPTON, N.H. (AP) — A 24-year-old New Hampshire brewing company is seeking a buyer, saying the explosion of microbreweries has led to changing dynamics in the marketplace. 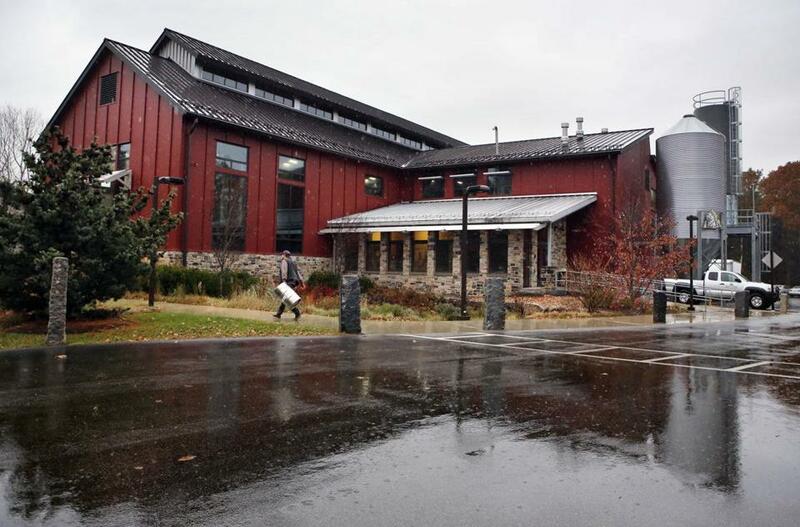 Smuttynose Brewing Company says it’s scheduled to be sold at a bank auction on March 9. It employs 68 people and generates more than $10 million in revenue annually. The sale includes the Smuttynose brand, its facility on the historic Towle Farm in Hampton, and Hayseed Restaurant located next to the brewery on 13 acres. Smuttynose says the brewery is capable of producing 75,000 barrels a year. However, in the last year it has been running at 50 percent capacity. Owner Peter Egelston says the company’s financial models were based on 20 year of consistent growth. He said as turmoil in the marketplace stabilizes, Smuttynose can regain its footing with a major infusion of capital.